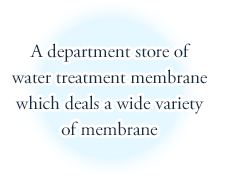 ADVANTAGE | DAICEN MEMBRANE-SYSTEMS Ltd.
Our business model is total proposal of water treatment processes. 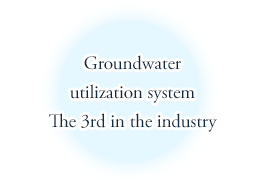 Several hundreds of types of inquiries about water treatment are made to DAICEN MEMBRANE-SYSTEMS in a year. Based on the hearing about the needs on raw water and treated water of the customer, we provide proposal of a total system to realize the needs, development and installation. We have solved every issue of the customers by investigating and verifying which membrane should be used, whether it is better to combine multiple membrane modules, and what kind of pretreatment is optimal based on the combination of raw water and treated water. Water treatment of a wide range of fields including medical care, ground water, food and environmental issues are covered. 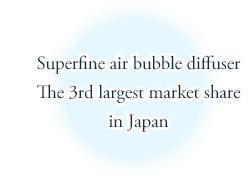 DAICEN MEMBRANE-SYSTEMS has past records of dealing with water treatment of various fields. 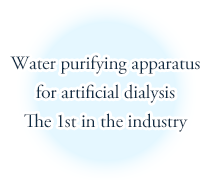 In the medical field, our water purifying apparatus for artificial dialysis widely known by its brand name, MOLSEP, is the bestselling product in the industry, and the system utilizing ground water, which is recently receiving attention as countermeasures at the time of disaster, is ranked 3rd in the industry, and the superfine air bubble diffuser, which attracts attention in the industries of sewerage and waste water treatment, has the 3rd largest market share in Japan. The demand for recycling waste water is increasing caused by worldwide water shortage and growing environmental awareness. 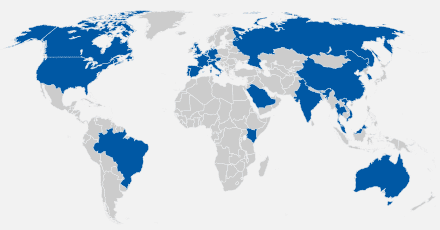 The demand for water treatment is especially in an increasing trend in Asian region compared to the other areas, and immediate response is desired. DAICEN MEMBRANE-SYSTEMS provides water treatment systems suitable for the characteristics of each area based on the results in Japan.